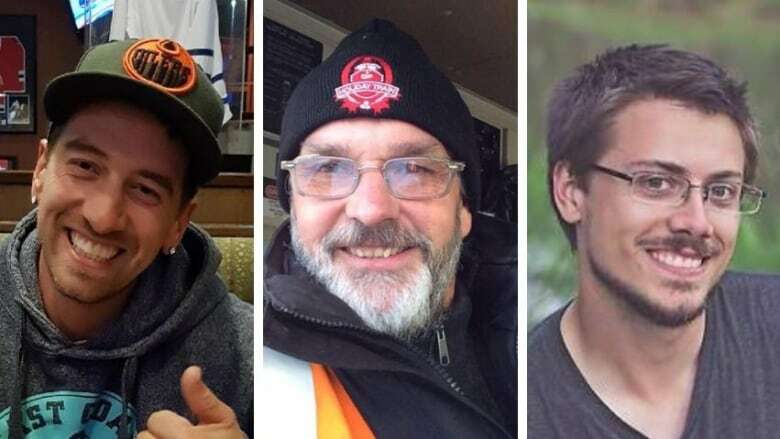 Three Canadian Pacific Railway crew members who were killed when a freight train plunged 60 metres off a bridge near the B.C.-Alberta border have been identified as the conductor, an engineer and a trainee. Three Canadian Pacific Railway crew members who were killed early Monday in a train derailment east of Field, B.C., have been identified. Conductor Dylan Paradis, engineer Andrew Dockrell and trainee Daniel Waldenberger-Bulmer were killed, according to CP, when the westbound freight train went off the tracks at about 1 a.m. MT. All three were on board the train at the time. A union representative said earlier the train fell more than 60 metres from a bridge near the Alberta-British Columbia boundary. Two were found near the locomotive, which landed in the Kicking Horse River, and the other was still inside. The three victims were based out of Calgary, the union said, adding that Dockrell had more than two decades of railroad experience. Christopher Monette, TCRC's director of public affairs, said it was "a runaway train." He said the derailment happened shortly after the crew had started their shift. Edwards said speed was a factor in the derailment. "It appears it left the track because it was going very quickly and it ran off the track," said Edwards. The speed limit is 15 or 20 miles per hour, Edwards said, or about 24 to 32 km/h. "The only people that could have told us facts of what happened on that train are dead," he said. 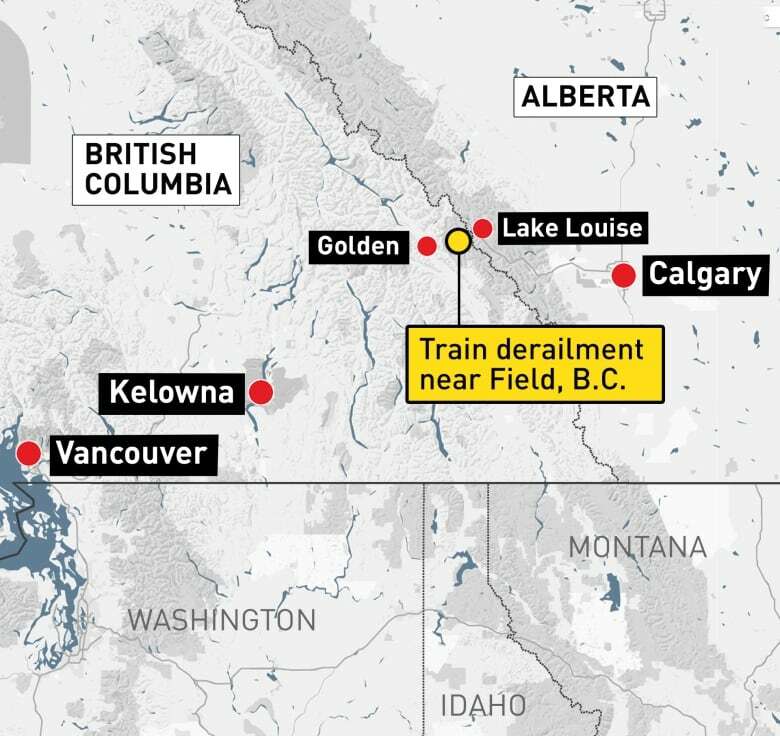 British Columbia's Environment Ministry confirmed between 30 and 40 grain cars went off the tracks and there was no immediate word of fuel or other contaminants entering the water. The train had three locomotives and 112 cars, Edwards said. "Our condolences and prayers go out to their families, friends and colleagues," the Calgary-based company said. "A full investigation will take place to determine the cause of this incident." Transportation Safety Board (TSB) investigators were headed to the site of the incident on Monday morning, the agency said in a release. RCMP said they are assisting in the investigation, along with Employment Safety Standards Canada and the B.C. Coroners Service. Eric Collard, a TSB spokesperson, said the site is remote, with access only possible by rail. "So you can't get to it by road." The tunnels were built 110 years ago to help trains traverse the treacherously steep Kicking Horse Pass. It has a slope grade of 2.2 per cent, one of the highest rail slopes anywhere in North America, according to an Encyclopedia of North American Railroads, which includes historical maps of what the author refers to as the region's "arduous" slopes. "Our hearts and our deepest condolences go out to the victims' loved ones and co-workers," François Laporte, president of Teamsters Canada, said in a release. 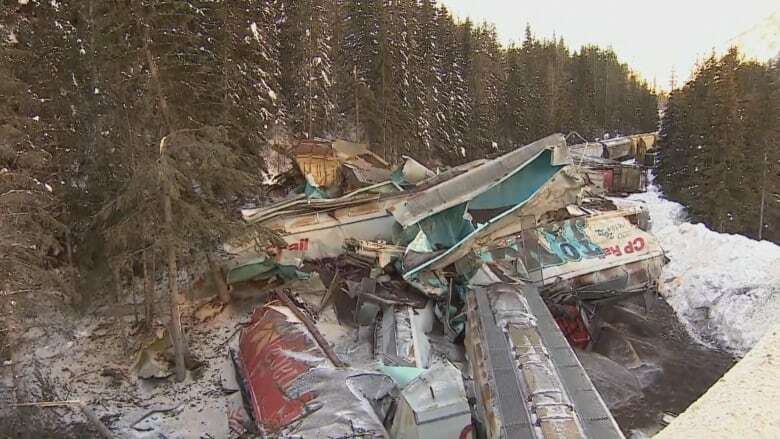 "Our union and its 125,000 members stand with them in mourning,"
A search of data on the Transportation Safety Board website shows that since 2004, there have been 64 CP derailments on the 220-kilometre stretch of railway between Field, B.C., and Calgary, nearly half of which happened within 30 kilometres of the treacherous area near Spiral Tunnels. No one was killed in any of those incidents. In 1997 a CP train derailed during an uncontrolled high-speed descent through Upper Spiral Tunnels. In that incident, an exhausted operator dealt with a depleted air brake and did not remember to engage a supplemental braking system, according to the TSB report. The three crew members were not hurt in that incident. "Today, our focus is on this accident as well as the victims' friends and families. But moving forward, the government and the rail industry will have to recognize that something is wrong and change is needed. 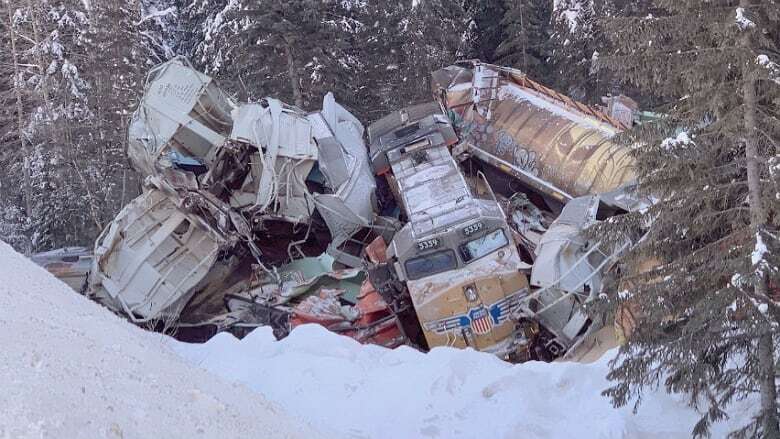 Eight workplace fatalities in a little over a year is not something that should be expected or accepted," Lyndon Isaak, president of Teamsters Canada Rail Conference (TCRC), said in a release. Alberta Premier Rachel Notley shared her condolences for the victims' loved ones on Twitter.